Senior management positions in the oil and gas industry since 1974. Bachelor of Science in Engineering from the University of Calgary. 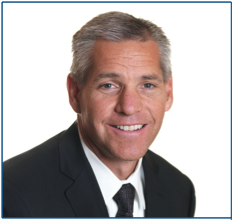 Russell K. Girling (2010), 49, of Calgary AB, has been the President and Chief Executive Officer of TransCanada Corporation and TransCanada PipeLines Limited since July 1, 2010. Prior to his appointment, he served as Chief Operating Officer from July 17, 2009 to June 30, 2010 and President, Pipelines from June 1, 2006 until June 30, 2010. Previously, he served as Chief Financial Officer and Executive Vice-President, Corporate Development of TransCanada until May 31, 2006, and as Executive Vice-President, Power from 1995 until his appointment as Chief Financial Officer in 1999. he has held various other leadership positions since joining TransCanada in 1994. Prior to his employment with TransCanada, he held several marketing and management positions at Suncor Inc., Northridge Petroleum Marketing and Dome Petroleum. Bachelor of Commerce degree and a Master of Business Administration in Finance from the University of Calgary. For information relating to the securities held by Mr. Girling, see the disclosure under the Executive Profiles section in TransCanada's Management Information Circular dated February 13, 2012. Kevin E. Benson (2005), 65, of Calgary AB, is a corporate director. He was President and Chief Executive Officer of Laidlaw International, Inc. (transportation services) from June 2003 to October 2007, and Laidlaw, Inc. from September 2002 to June 2003. He served as President and Chief Executive Officer of The Insurance Corporation of British Columbia from December 2001 until September 2002. Director of the Calgary Airport Authority. Bachelor of Accounting from the University of Witwatersrand (South Africa) and was a member of the South African Society of Chartered Accountants. Derek H. Burney (2005), 72, if Ottawa ON, is a senior strategic advisor at Norton Rose Canada L.L.P. (law firm) and was Chair of Canwest Global Communications Corp. until October 27, 2010. He served as President and Chief Executive Officer of CAE Inc. (technology) from October 1999 to August 2004, and was Chairman and Chief Executive Officer of Bell Canada International Inc. (communications) from 1993 to 1999. He was the lead director at Shell Canada Limited (oil and gas) from April 2001 to May 2007. He held various positions with the Canadian Foreign Service, including serving from 1989 to 1993 as Canada's Ambassador to the United States. From 1987 to 1989, he was Chief of Staff to the Prime Minister and was directly involved in the negotiation of the Canada-U.S. Free Trade Agreement. In 1992, he was awarded the Public Service of Canada's Outstanding Achievement Award. He was named an Officer of the Order of Canada in 1993. He is also a Visiting Professor and Senior Distinguished Fellow at Carleton University, and a Senior Research Fellow at the Canadian Defence and Foreign Affairs Institute. He became a member of the Paradigm Capital Inc. Advisory Board in May 2011 and a member of the Ottawa Hospital Board of Governors in November 2011. Honorary Doctor of Laws degrees from Lakehead University, Queen's University, Wilfrid Laurier University, Carleton University and University of Windsor. He holds an Honours Bachelor of Arts and Master of Arts from Queen's University. E. Linn Draper (2005), 70, of Lampasas TX, is a corporate director. He retired as Chairman, President and Chief Executive Officer of Columbus, Ohio-based American Electric Power Co., Inc. in 2004, a position which he held since April 1992. In addition, he was President of Ohio Valley Electric Corporation and Indiana-Kentucky Electric Corporation from 2002 to 2004. He previously served as Chairman of the board, President and Chief Executive Officer of Gulf States Utilities Company, Beaumont, Texas from 1987 to 1992. Bachelor degree in Chemical Engineering from Rice University and a Ph.D. in Nuclear Science and Engineering from Cornell University. Paule Gauthier (2002), 68, of Quebec QB, is a Senior Partner at Stein Monast L.L.P. (law firm). In addition to public board directorships, she is also a director of Care Canada and of the Fondation du Musée national des beaux-arts du Québec. She has worked in the legal profession since 1967. She is a former Chair of the Security Intelligence Review Committee, a former President of the Fondation de la Maison Michel Sarrazin and a former director of the Institut Québecois des Hautes Études Internationales, Laval University. She was named an Officer of the Order of Canada in 1991. Bachelor of Arts from the Collège Jésus-Marie de Sillery, a Bachelor of Laws from Laval University, a Master of Laws in Business Law (Intellectual Property) from Laval University, and a Certificate for a session on mediation from Harvard Law School. Paul L. Joskow (2004), 64, of New York NY, is an economist and President of the Alfred P. Sloan Foundation. He is also Professor of Economics, Emeritus, at the Massachusetts Institute of Technology (MIT) where he has been on the faculty since 1972. He was head of the MIT Department of Economics from 1994 to 1998 and the director of the MIT Center for Energy and Environmental Policy Research from 1999 to 2007. He has worked in the economics field as an educator, researcher and consultant since 1972 and held various positions at Harvard University, Stanford University and the University of Paris in addition to MIT. He was a director of the New England Electric System from 1987 until 2000, a director of National Grid plc from April 2000 to July 31, 2007, and a director of State Farm Indemnity Company from 1991 to 2002. He has served as a director of Exelon Corporation since July 2007 and as a trustee of Putnam Mutual Funds since October 1997. He was the President of the Yale University Council until July 1, 2006 and was on the board of directors of the Whitehead Institute of Biological Research until February 2005. He is currently on the board of overseers of the Boston Symphony Orchestra and is a trustee of Yale University. Bachelor of Arts with Distinction in Economics from Cornell University, a Masters of Philosophy in Economics from Yale University and a Ph.D. in Economics from Yale University. John A. MacNaughton (2006), 67, of Toronto ON, is a corporate director. He is the Chairman of the Business Development Bank of Canada, Trustee of the University Health Network (academic health sciences centre), Chairman of the Independent Nominating Committee of the Canada Employment Insurance Financing Board, and a member of the Prime Minister's Advisory Committee on the Public Service. He served as a director of Nortel Networks Corporation (technology) from 2005 to September 2010, and as Chairman of CNSX Markets Inc. (formerly Canadian Trading and Quotation System Inc.) (stock exchange) from 2006 to July 2010. He served as the founding President and Chief Executive Officer of the Canada Pension Plan Investment Board, a Crown Corporation created by an Act of Parliament to invest the assets of the Canada Pension Plan, from 1999 to 2005. He was President of Nesbitt Burns Inc., the investment banking arm of Bank of Montreal, from 1994 to 1999. He is a Member of the Order of Canada and a recipient of the Institute Certified Director Designation (ICD.D) from the Institute of Corporate Directors. Bachelor of Arts in Economics from the University of Western Ontario. Paula Rosput Reynolds (2011), 55, of Seattle WA, has been the President and Chief Executive Officer of PreferWest, LLC (business advisory group) since October 2009. She served as Vice Chairman and Chief Restructuring Officer of American International Group Inc. (insurance and financial services) from October 2008 to September 2009 as part of the team that was appointed during the global financial crisis. Prior to that appointment, she served as President and Chief Executive Officer of Safeco Corporation (insurance) until its acquisition by Liberty Mutual Group in September 2008. She was also Chairman, President and Chief Executive Officer of AGL Resources Inc. (energy services holding company) from August 2000 to January 2006. She has held the roles of Chief Executive Officer and President and Chief Operating Officer of Atlanta Gas Light Company, a wholly-owned subsidiary of AGL Resources Inc. She also previously served as President and Chief Executive Officer of Duke North America, a subsidiary of Duke Energy Corporation, and, President of PanEnergy Power Services Inc. Prior to that she was Senior Vice President of Pacific Gas Transmission Company (natural gas pipeline), a predecessor company of Gas Transmission Northwest LLC, a subsidiary of TransCanada. She is a director of Anadarko Petroleum Corporation, Delta Air Lines, Inc. and BAE Systems plc. Bachelor of Arts in Economics, with honours, from Wellesley College. W. Thomas Stephens (2007), 69, of Greenwood Village CO, is a corporate director. He was the Chairman and Chief Executive Officer of Boise Cascade, LLC (paper, forest products and timberland assets) from November 2004 to November 2008 and served as a Director of Boise Inc. from 2008 to April 2010. He served as President and Chief Executive Officer of MacMillan Bloedel Limited (forest products) from October 1997 to October 1999 and the Chairman and Chief Executive Officer of Johns Manville Corporation (building products) from 1986 to 1996. He has worked in the forestry and building materials industry since 1956. Masters of Science in Industrial Engineering from the University of Arkansas. D. Michael G. Stewart (2006), 60, of Calgary AB, is a corporate director. He was a director of Orleans Energy Ltd. (oil and gas) from October 2008 to December 2010, a director of Pengrowth Corporation (administrator of Pengrowth Energy Trust) from October 2006 to December 2010, a director of Canadian Energy Services Inc. (general partner of Canadian Energy Services L.P.) from January 2006 to December 2009, Chairman and trustee of Esprit Energy Trust (oil and gas) from August 2004 to October 2006, and a director of Creststreet Power & Income General Partner Limited (general partner of Creststreet Power & Income Fund L.P.) (wind power) from December 2003 to February 2006. Bachelor of Science (Geological Sciences) with First Class Honours from Queen's University. 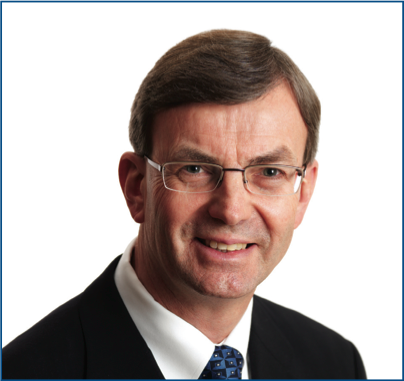 Richard E. Waugh (2012), 64 of Toronto ON, has been the President and Chief Executive Officer and a director of The Bank of Nova Scotia (Scotiabank) since March 25, 2003. He worked in increasingly senior roles at Scotiabank since he began his career as a branch employee in 1970 and in 1985 he moved to New York as Scotiabank's most senior executive in the U.S. Subsequently, he was Vice-Chairman, Corporate Banking from 1995 to 1998 and Vice-Chairman, International Banking and Wealth Management from 1998 to 2003. He is a member of the Canadian Council of Chief Executives. He serves on the board of directors of the International Monetary Conference (IMC) and is currently the President. He is also the Vice-Chair of the board of the Institute of International Finance (IIF). He is a member of the Council of the Americas and is on the Chairman's International Advisory Council for the Americas Society. 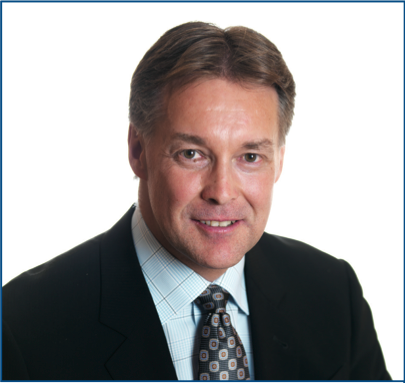 He serves on the board of directors for Catalyst Inc., and is Chair of the Catalyst Canada Advisory Board. In addition, he serves on the Advisory Council of the Schulich School of Business at York University, the Guanghua School of Management at Peking University and the Canadian Museum of Human Rights. He has long been active in several philanthropic organizations, including the United Way of Greater Toronto, where he was Campaign Chair in 2006. He is also a member of the board of the MS Society of Canada's Multiple Sclerosis Scientific Research Foundation. He is a director of St. Michael's Hospital and was Co-Chair of the hospital's campaign to build the Li Ka Shing Knowledge Institute. Bachelor of Commerce (Honours) degree from the University of Manitoba and a Master of Business Administration from York University. He is a Fellow of the Institute of Canadian Bankers and has been awarded Honorary Doctor of Laws degrees from York University and Assumption University. Russ Girling assumed the position of President and Chief Executive Officer (CEO) on July 1, 2010. Prior to this, he was Chief Operating Officer, responsible for overseeing TransCanada Corporation’s Pipeline and Energy businesses, corporate development activities and strategies, operations and major projects, and corporate services. Prior to serving as COO, Mr. Girling was President, Pipelines of TransCanada Corporation, where he had overall responsibility for TransCanada Corporation’s regulated businesses, including gas and oil pipelines in Canada, the U.S. and Mexico. Mr. Girling was previously Executive Vice-President, Corporate Development and Chief Financial Officer of TransCanada. He had overall responsibility for finance, accounting, treasury, tax, risk management, strategy, corporate development, and investor relations. Through 2001, he was also President of TransCanada Gas Services and was responsible for its ultimate disposition. In 1995 Mr. Girling was appointed Executive Vice-President, Power where he had overall responsibility for the creation and management of the TransCanada subsidiary, TransCanada Power, including the creation of TransCanada Power, L.P. Prior to joining TransCanada in 1994, Mr. Girling held several marketing and management positions at Suncor Inc., Northridge Petroleum Marketing and Dome Petroleum. Mr. Girling is currently a Director of Agrium Inc. He is the former Chairman of the Interstate Natural Gas Association of America (INGAA) and the Natural Gas Council (NGC), and a former Director of the Canadian Energy Pipeline Association (CEPA). He is the former Chairman and Chief Executive Officer of TC PipeLines GP, Inc. (general partner of TC PipeLines, LP). Mr. Girling is also the former Chairman of TransCanada Power, L.P. and a former Director of Bruce Power Inc.
Mr. Girling is a Director of the Willow Park Charity Golf Classic and was a member of the 2010 United Way of Calgary and Area Cabinet. Mr. Girling was a 1998/1999 recipient of Canada’s Top 40 Under 40 Award for leadership excellence for Canadians under the age of 40. In 2008 he was the recipient of the Haskayne School of Business Management Alumni Excellence (MAX) Award. Mr. Girling holds a Bachelor of Commerce degree and a Master of Business Administration in Finance from the University of Calgary. Alex Pourbaix is President, Energy and Oil Pipelines. He is responsible for TransCanada Corporation’s non-regulated businesses, including power and non-regulated gas storage, as well as the oil pipeline business. Prior to his current appointment, Mr. Pourbaix was President, Energy and Executive Vice-President, Corporate Development responsible for TransCanada’s non-regulated businesses, as well as acquisitions, divestments and execution of major transactions in both Energy and Pipelines. He is also responsible for the operation of Cancarb Limited, a carbon black manufacturing business owned and operated by TransCanada and TransCanada Turbines Ltd., the world leader in the aeroderivative gas turbine overhaul and repair business. Mr. Pourbaix holds a Bachelor of Arts, with distinction, and a Bachelor of Law from the University of Alberta. Greg Lohnes is President, Natural Gas Pipelines. He is accountable for TransCanada Corporation’s natural gas pipeline and regulated natural gas storage businesses in Canada, the United States and Mexico. Prior to this, Mr. Lohnes was Executive Vice-President and Chief Financial Officer. He had overall responsibility for accounting, finance, investor relations and corporate strategy. From 2000 until 2006, Mr. Lohnes was President and Chief Executive Officer of Great Lakes Gas Transmission Company. During his tenure, Great Lakes was a 50/50 joint venture between TransCanada and El Paso Corporation. Mr. Lohnes is Chairman of TC PipeLines GP, Inc. and has been a Director since January 2007. He is also the former Chief Financial Officer of TC PipeLines, LP. Mr. Lohnes joined TransCanada in 1993 and has held various executive positions in the areas of joint ventures pipelines, midstream and international. Prior to joining TransCanada, Mr. Lohnes worked as a corporate and securities lawyer for a major Alberta law firm. Mr. Lohnes is a member of the Law Society of Alberta. Mr. Lohnes holds a Bachelor of Commerce degree from the University of Guelph and a Bachelor of Laws degree from the University of Calgary. As Executive Vice-President and Chief Financial Officer, Don Marchand is responsible for financial reporting, taxation, finance, treasury, risk management, and investor relations for TransCanada Corporation. Previous to this appointment, Mr. Marchand was Vice-President, Finance and Treasurer overseeing the Company’s finance, treasury, trading and financial risk and pension asset management functions and served as a member of TransCanada’s Capital, Exposure and Pension Committees. Since joining the company in 1994, Mr. Marchand has held a variety of progressively more senior roles with the organization and was appointed Vice-President, Finance and Treasurer in September 1999. Prior to coming to TransCanada, Mr. Marchand worked at Trizec Corporation Ltd. in a number of accounting and treasury roles as well as at Clarkson Gordon, a predecessor firm to Ernst & Young. Mr. Marchand is a member of the Calgary Society of Financial Analysts and the Institute of Chartered Accountants of Alberta. Mr. Marchand holds a Bachelor of Commerce degree with honours from the University of Manitoba. He earned his Chartered Accountant designation in 1988 and became a Chartered Financial Analyst in 1994. As Executive Vice-President, Corporate Development Dennis McConaghy leads the development of major new infrastructure initiatives across TransCanada’s businesses. He also has accountability for execution of major transactions. Previously, Mr. McConaghy was Executive Vice-President, Pipeline Strategy and Development responsible for leading the gas business development activities at TransCanada with a focus on Alaska, Mackenzie and other new pipeline developments, as well as extensions and expansions of our existing systems in Canada and the U.S.
Mr. McConaghy was accountable for liquefied natural gas and compressed natural gas. He sits on the company’s Management and Business Development committees. 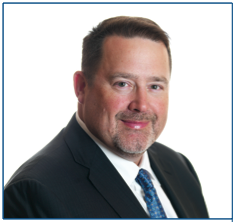 Mr. McConaghy joined TransCanada in 1998, and has held senior positions in Corporate Strategy & Development, Midstream/Divestments, and Business Development. 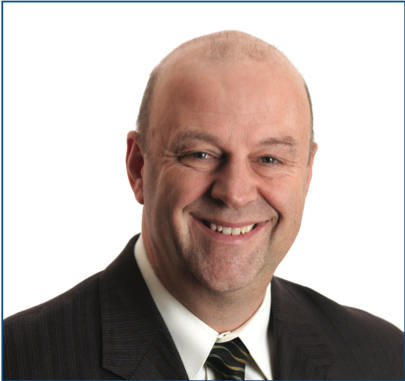 Prior to the TransCanada/NOVA merger, Mr. McConaghy held several senior positions with NOVA Corporation and NOVA Chemicals Ltd.
Mr. McConaghy has more than 25 years’ experience in oil and gas, beginning his career as a Research Associate with the Alberta Research Council. He has also worked for the Alberta Gas Trunkline and the Alberta Gas Ethylene Company. Mr. McConaghy graduated from the University of Alberta with a Bachelor of Science in Chemical Engineering in 1973 and a Master of Science in Chemical Engineering in 1975.
was appointed to this position in June 2006; prior to this, he served as Vice-President, Power at TransCanada, responsible for executing major transactions. Until its divestment in 2005, Mr. McMaster was President, TransCanada Power, L.P., a publicly held limited partnership that owned power plants in Canada and the United States. Hired in 1996, Mr. McMaster served as Business Unit General Counsel for TransCanada Energy Ltd. Prior to joining TransCanada, Mr. McMaster served in expert legal capacities for Blain & Company, Mobil Oil Canada, and Bennett Jones. He has also served as a tank commander in the Canadian Armed Forces. Mr. McMaster is a member of the Canadian Bar Association, the Law Society of Alberta, the Calgary Bar Association and has been involved in numerous other professional and community groups. He has authored various works revolving around the energy industry and various corporate/ commercial concerns. Mr. McMaster was appointed Queen’s Counsel as of December 31, 2009. Mr. McMaster graduated from the University of Windsor in 1981 with a Bachelor of Arts (Honours) degree in Economics and Political Science. 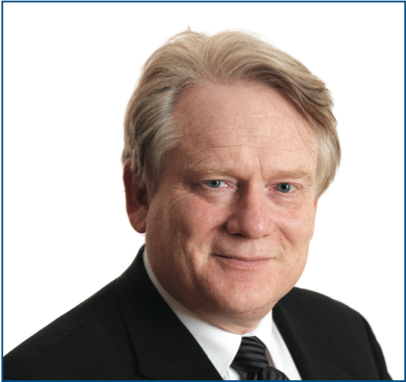 He received his Bachelor of Law degree with a focus on Corporate and Commercial Law from the University of Alberta in 1989, and was the Editor-in-Chief of the Alberta Law Review. Mr. McMaster received his Masters of Business Law from York University in 2006 with a focus on corporate governance. Mr. McMaster obtained the Chartered Director (C.Dir.) designation from the Directors College (a joint venture of McMaster University and the Conference Board of Canada) in 2010. As Executive Vice-President, Corporate Services, Wendy Hanrahan is responsible for human resources and internal communications, information systems, aviation, and facilities services. Since joining the Company in 1995, Ms. Hanrahan has held a variety of key leadership roles in finance and accounting, corporate strategy, and in the gas transmission business, in addition to her most recent role as Vice-President, Human Resources. She also served as Vice-President, TC PipeLines, LP. Prior to joining TransCanada, Ms. Hanrahan worked in various accounting roles at Gulf Canada Resources and was an Audit Manager at Ernst & Young. 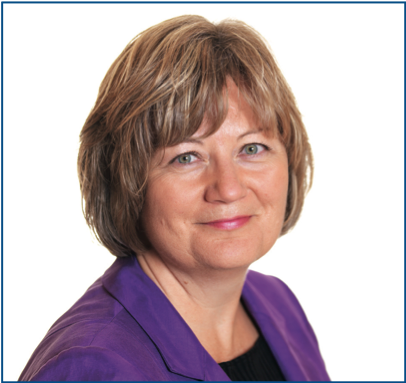 Ms. Hanrahan sits on the Board of Directors of the Churchill Corporation where she chairs the Human Resources and Compensation Committee. She also serves on the Board of Directors of Heritage Park and on the Bowen Advisory Board. Ms. Hanrahan holds a Bachelor of Science in Business Administration from the University of South Carolina and is a Member of the Institute of Chartered Accountants of Alberta. As Executive Vice-President, Operations and Major Projects, Don Wishart is responsible for the full range of services required to design, build, operate and maintain all facilities and infrastructure at TransCanada. These responsibilities include engineering and technical services; project management; construction; field operations; community, safety and environment; and procurement and shared services. 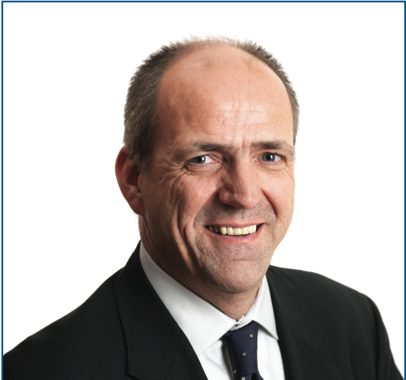 Mr. Wishart has more than 30 years of experience in the areas of business development, project management, operations and environmental services in both international and North American settings. He joined TransCanada International in the spring of 1997 and held the positions of Senior Vice-President, Project Development and Senior Vice- President, Field Operations. Mr. Wishart holds Master of Science and Bachelor of Science degrees from the University of Alberta. He is also a certified member of the Institute of Corporate Directors, Calgary Chapter Executive of the Institute of Corporate Directors and participates in a number of public and private Boards.